Get instance reply for this service send us a message we will reach to you soon. Securing everything from your perimeter to your facility interior requires innovative intrusion detection solutions. Intrusion detection integrated with a state-of-the-art access control system will help to ensure that both the interior and exterior of your facility is secured. Perimeter protection, including fence lines and barrier systems secure the exterior. Interior intrusion detection systems can protect server rooms, back entrances, and any other restricted areas where access must be monitored.. A customized security vulnerability assessment is done to determine security weaknesses and design solutions to mitigate those risks. 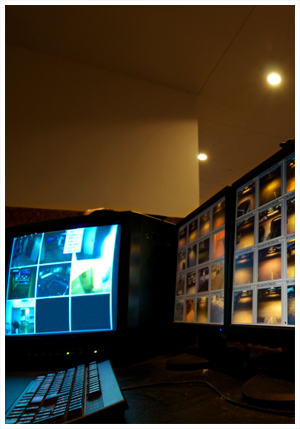 Secure Vigil, installs industry leading intrusion detection systems for physical security. With a focus on false alarm prevention, Secure Vigil’s intrusion detection systems utilize state-of-the-art intrusion detection sensors. For over two decades, Secure Vigil has worked with customers to design, install and service integrated access control, video and intrusion detection systems. Our security experts work with you on-site to complete a full-scale vulnerability and risk assessment and provide comprehensive security solutions to mitigate those risks. Secure Vigil, LLC is a leading provider of IT-centric security solutions. With hundreds of clients throughout Texas, Secure Vigil, LLC, installs, services, monitors and hosts the finest in physical and logical security systems.